Hinchingbrooke House wedding photography by Peter Redhead. See Matt and Sam’s photographs from their wedding celebration at Hinchingbrooke House near Huntingdon. A stunning but slightly unusual wedding venue, Hinchingbrooke House is actually a 6th form college! Aside from being a fantastic place to study the vast halls and rooms, which incidentally bear very little academic paraphernalia are a wonderful place to host a civil ceremony, civil partnership or a wedding reception. The grounds and exterior of the house make for an extremely grand backdrop to a wedding day; and on warmer days provide plenty of outdoor space for a wedding party and guests to mingle whilst enjoying a drink. Hinchingbrooke house is a delight to photograph in and around. There are many period features, textures, colours and areas to photograph a newly wed couple and guests. 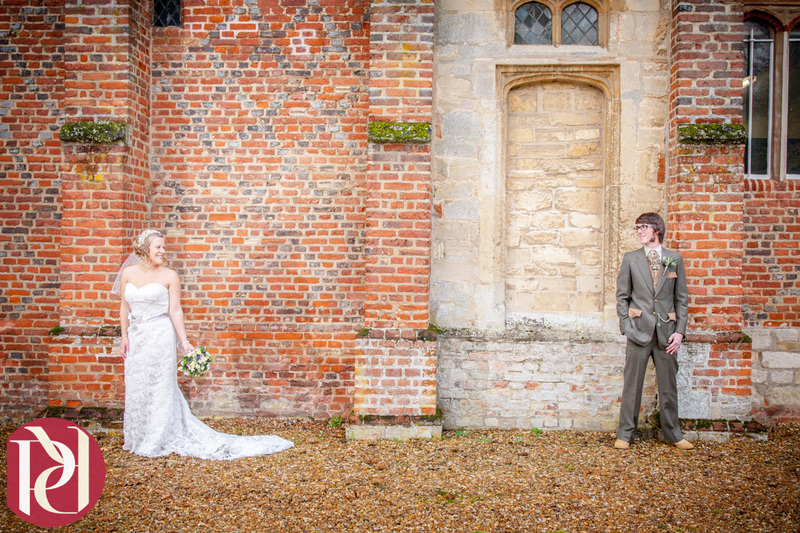 You can see wedding photography from Hinchingbrooke house in this blog post. Notably, the venue is hired exclusively so there is no chance of any unwanted or prying eyes. The blog post referred to is from a wedding celebration; the couple were married in a remote corner of northern Scotland and held there Vintage styled wedding celebration here. View wedding photography from Hinchingbrooke House on my blog and You Tube Channel plus other work in my galleries. Brownsover hall hotel wedding photography is a real treat, the venue located in Rugby is imposing full of character and has so many areas for guests to use. The red brick built hotel building stands in large grounds with lawns front and rear perfect for wedding canapes and guests to sit or meander around. Much of the hotels communal area, staircase and main wedding reception room are a vibrant red which gives a very warm and welcoming feel to the hotel. The outside area is kept immaculately clean and is a real pleasure to work in, wedding photography at Brownsover Hall Hotel can be very diverse due the many natural areas on offer. On the right day the bridge to the rear of the hotel can provide a great light, and a talented wedding photographer will be able to craft great images. One of my personal favourite areas of the hotel grounds is actually the stable block. I love working with texture; the contrasting red brick and heritage green woodwork I find is perfect for creating stricking wedding photographs. Visit my blog and galleries to view wedding photography at Brownsover Hall Hotel. Call me on 07548 514341 or contact me here if you are considering Brownsover Hall Hotel as a wedding venue and would like to discuss your wedding photography. Trinity Church in March Cambridgshire is a joint Methodist and United Reformed Church. Trinity Church in March, Cambridgeshire is a great wedding location to photograph at. Trinity church itself has a wonderful facade and is situated close to March town centre. Inside the church has a airy and light feel which is further accentuated by the high ceiling and pastel walls. There is also a viewing gallery high up at the back of the church. . The church also benefits from a grass area next door and a church hall. Chequers at Woolsthorpe weddings: A beautiful wedding venue set in the rural Lincolnshire village of Woolsthorpe among the rolling hills of the vale of Belvoir. In fact Chequers at Woolsthorpe is a 17th Country dining pub only a stones throw from Belvoir castle itself. There is plenty of outdoor space even for large wedding parties at the Chequers with a lovely enclosed garden along with an adjacent cricket pitch lending itself nicely to a wedding reception on a lovely summers afternoon. If you are considering a wedding at Chequers at Woolsthorpe please don’t hesitate to contact me.